Last week Project SF made our 5th annual appearance at Northeastern Universities SpringFest event and painted a massive cube throughout the afternoon on the main quad. Always a blast getting everyone together for one of these. Glad Northeastern helps us do it! 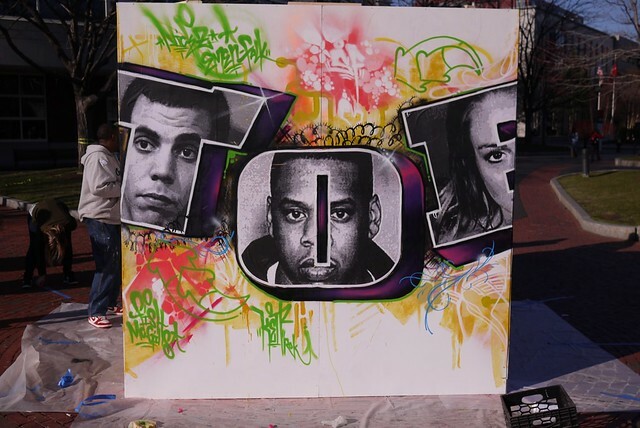 April 12, 2011 | Filed under commissions, events, murals.